Welcome to Texas’ favorite “super-suburb”, Round Rock! With a population of around 100,000, this charming suburb is located approximately 20 miles north of downtown Austin. It appears that settlers and developers are continually discovering the appeal of the city as Round Rock has consistently been noted as one of the fastest growing cities in the nation for several years now, while economically its growth has been remarkable and continues to show future potential. These accolades, along with the progressive stance that Round Rock seems to take with all aspects of quality of life for its citizens, led to the city being recently named by Money Magazine as one of the top ten small cities in the nation in which to live. This is Texas however, so when it is time to cool down many families love a dip in the pool. 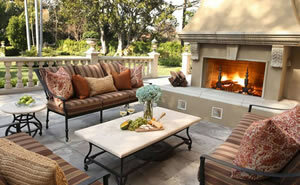 Denali Pools is a leading pool builder. 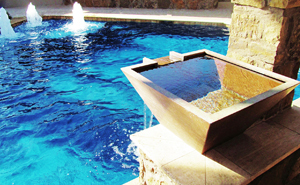 We construct beautiful and functional pools, custom designed just for you. Public education is a priority for this small city. Round Rock has one of the best school systems in the region. Based on rankings in 2008 by the Texas Education Agency, not only did Round Rock Independent School District not receive any ‘unacceptable’ ratings out of its 42 schools, it also proudly produced 12 schools with the highest achievable rating of ‘exemplary’, only adding to the family-oriented nature of the city. If that doesn’t place Round Rock high on the candidacy list for perfect all-American suburban living, maybe the fact that the city placed eighth on CNBC’s list of “Top 10 Perfect Suburbs” due to its low unemployment rate, attractive median house value, and being deemed one of the safest communities in the United States will change your mind. One of the most enticing things about this city is the affordability of cost of living. Round Rock boasts one of the lowest property tax rates in the region. If that isn’t enough, residents also enjoy some of the lowest combined utility and tax rates in Central Texas. Furthermore, and most importantly when considering pool installation, Round Rock has one of the lowest water and wastewater rates in the region and also boasts high reliability of its utility services. 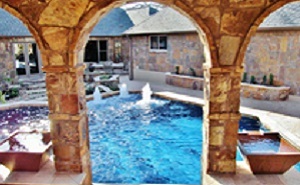 With its family-oriented culture and extensive list of benefits, it’s obvious why Denali Pools has chosen to provide its phenomenal custom pool services to the wonderful town of Round Rock. Round Rock believes in progression, always putting your best foot forward, and being unique – as does Denali Pools. As a professional swimming pool builder, Denali Pools can design a pool that will make your vision for your home and the enhancement of your property come to life. Denali believes in providing materials of the best quality while also keeping affordability in mind. 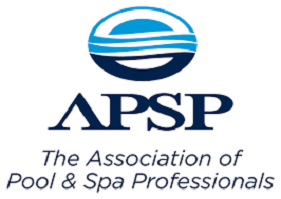 Your vision combined with our commitment, creativity, dedication, and experience will have you taking a dip in the pool you’ve always dreamed of sooner than you would ever have expected!